Comment: I have an approved insurance claim to replace my roof due to wind damage which occurred in March 2019. I am looking to get 2-3 estimates before making a final decision on company to perform the installation of new roof. Comment: Scope of work: Remove old shingles. Install synthetic underlayment. Install drip edge, starter strip, ice and water shield in valleys and at the ridge, install Owens Corning TruDefinition Duration shingles. Cut in and install ridge vent. Close off gable vents. Replace box vent and pipe flashings. Comment: I've had leakage in my kitchen and one bedroom. Roof is 15 years old. Need bids. O Fallon Roofing Contractors are rated 4.79 out of 5 based on 1,222 reviews of 50 pros. 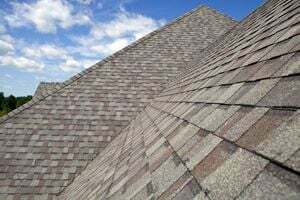 Not Looking for Roofing Contractors in O Fallon, MO?